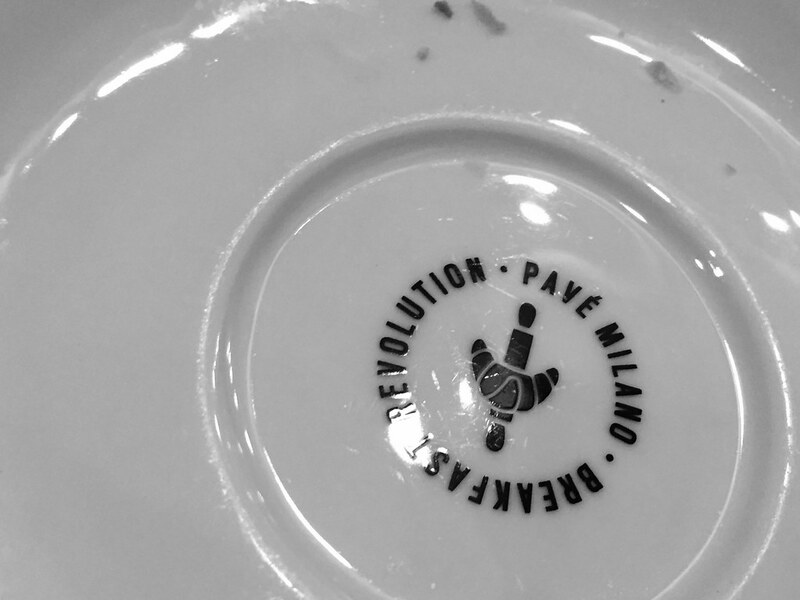 Taking direction from the recent New York Times article, Angela and I ventured out to the north/northeast side of Milan Sunday morning to Pavè, a pasticceria, or bakery of sorts, for a little breakfast. Before delving into the deliciousness, it's important to note that for Italians the definition of breakfast items is quite different from what an American might classify as standard fare. As an American I grew up on cereal, bacon and eggs, or pancakes and such. A donut or croissant was a rare treat, saved for special occasions or the odd weekend. It was never a habitual delight. 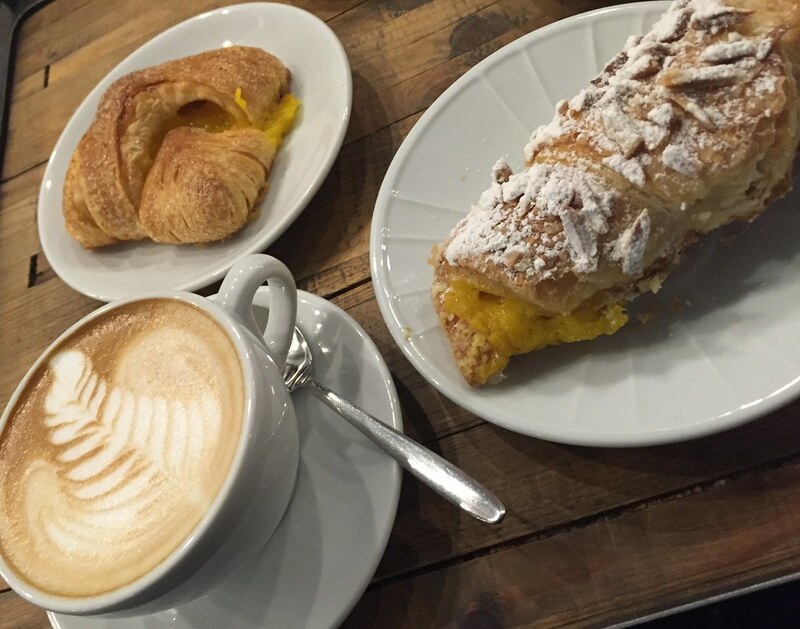 In Italy though, the brioche or sweet pastry is the norm. It's often labeled "prima colazione" or "first breakfast," though I've never really determined what or when the "second breakfast" would be. But, I do imagine eating something beyond the pastry is necessary because it's not filling enough to sustain me until lunch. 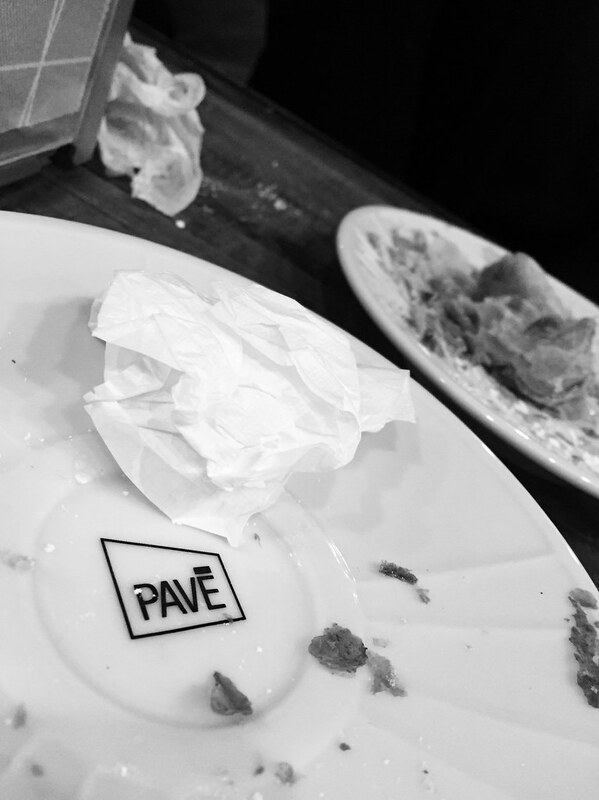 With that in mind, we arrived at Pavè to a large case of glistening pastries set amongst a rustic, shabby chic designed space. Everything in the case is nicely labeled for easy identification. The English speaker in me is thankful for this, as I can easily read in Italian and understand, but can not always hear and understand it. The space itself is small, divided over two levels, and full of mixed and matched chairs and tables. Grab and table and a server will drop off a menu, which, by the way, is also in both Italian and English, and clearly translated by someone with some solid English language skills. The translations are clear and colloquial, and not off-putting, as some direct English translations at restaurants often are. 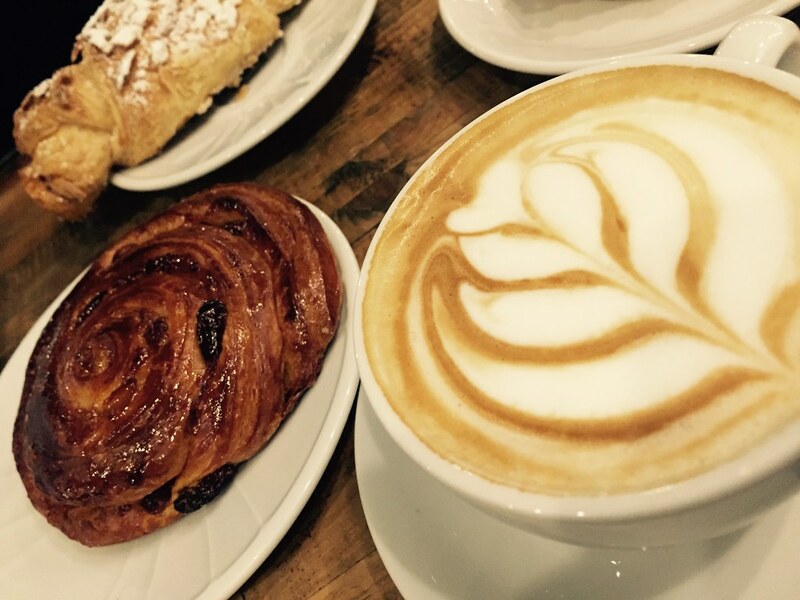 We each had a cappuccino and we ordered three pastries, thinking that wasn't pushing the limits too far for one visit! Since we wanted to try EVERYTHING! Clockwise from top left: Sfogliatina all crema, Kipfel alle mandorle, and a yummy cappuccino! Each of the pastries was delicious in its own way, but the cinnamon roll with raisins was our favorite of the three. The cappuccino was delightful and only required one sugar, which for me, is way less than what I often have to pour into such a beverage. Do you think one day I'll ever manage to drink an espresso like an Italian? For two cappuccinos and three brioche, plus table service, we spent only 10 euro. Fair prices in my opinion. There was a small group of people waiting for a place to sit as we were leaving. One of their employees was keeping tabs by running a small waitlist to help accommodate everyone. Perhaps a result of their recent nod in a major publication, eh? Pavè can be found at Via Felice Casati 27, just a few blocks from the Via Vittorio Veneto stop on the 9 tram line. They also serve lunch and offer aperitivo. Hi Lucy! Thanks for stopping by and checking out my posts! I've been to Princi before for an afternoon snack! It was tasty! And you're right...there's plenty of places to continue to check out! In all fairness, you can usually get something with ham and cheese...as you'll find on Pave's menu. But, it always feels like lunch to me when I eat something like that!